There are fewer things worse than getting sick. You have zero energy, get behind on work and house chores, and you just feel like literal crap. As much as I think I’ll enjoy Netflixing in bed all day long, it gets old super fast and all I really want is to get back to my workouts and feeling good again. I know you’ve all been there too. The best way to avoid getting sick is to prevent it, but that’s not always possible. I used to NEVER get sick but when I started teaching the 6-year-olds in church on Sundays, I seem to pick something up more often during the colder months. Luckily, when I do get sick its not for long and I’m usually able to kick it pretty fast. I thought I would share my top natural remedies and what I do when I feel a cold coming on AND some ways to prevent getting sick in the first place. Before I get into that let me just say that I AM NOT A DOCTOR and NOT YOUR DOCTOR! These are simple tips and tricks that work for me. Please talk to your doctor if you are seriously ill or suspect a bacterial infection. Plants contain essential vitamins and minerals that help keep your gut and immune system strong. It’s best to get a variety, but definitely, don’t skip out on your greens and plants that contain vitamin C! Green leafy veggies and colorful veggies are especially chalk full of important vitamins that can help prevent a cold. Surprised? I’m not considering how exercise is linked to a longer healthier life. According to WebMD, people who exercise were less likely to get sick than people who don’t. You don’t have to exercise for hours upon hours either. Research suggests that 20 minutes is the magical number that will help keep your immune system healthy. Have you ever come down with a cold after lots of stress or anxiety? That’s because too much stress weakens the immune system. I get that it’s easier said than done but do your best to keep your stress levels and anxiety under control. When you find yourself stressing out and your blood pressure rising, take a moment to notice your breath. Is it short and shallow? Take a minute to take some deep mindful breaths, really focusing on filling the entire belly. This is a technique that is super helpful and you can do it anywhere! You can also try yoga, meditation, gratitude journals (snag my template for free here), your favorite form of exercise, and even coloring. Here is a fun grown-up coloring book I use. Aim for 7-9 hours each night. If you struggle with hitting that magic number, just try going to bed 15 minutes earlier each night until you hit that range. It can make all the difference! 5. Keep your sugar intake in check. Eating a meal high in sugar or processed carbs can lower your immune response by up to 50% for several hours. Yes you read that right! And we wonder why everyone gets sick around the holidays? When treats and heavy meals are the norm? Of course, you don’t have to completely avoid yummy holiday treats, but keep this in mind when you’re at a party or traveling. Do you really want to get that bag of Twizzlers before you get on a plane where there are lots of germs? Probably not. It sounds SO simple and so DUH. But washing your hands often, not just using hand sanitizer, but good ol soap and warm water will kill any germs you may have picked up. Wash your hands after going to the grocery store, after coming home from work or school, after church etc. Wash often and use coconut oil to keep your hands from getting too dry! Now on to my tips for when you’ve actually gotten a cold. The sooner you can catch it, the better so be aware of warning signs like feeling super tired or a scratchy throat! 1. Amp up on liquids. The first thing I do when I feel a cold coming on (usually in the form of a sore throat) is I increase my liquids. I drink water, warm herbal tea with raw honey, green smoothies, and aloe vera juice. DON’T drink juices and other sugary drinks when you’re sick, even if it’s a “good source” of vitamin C. Sugar and vitamin C actually compete for absorption in the body and sugar usually wins. Plus, that sugar just weakens your immune system and can prolong a cold. Peppermint -Helps with congestion and relaxation. Turmeric/ ginger – Warm, comforting flavors with anti-inflammatory properties. 2. Increase vitamin A , D, and C intake. It’s usually best to do this through whole plant-based foods but I also take supplements to help me get more of these important vitamins. Here is a list of all the supplements I use and swear by when I’m fighting off a cold. If you have questions or concerns, talk to your doctor before trying any of these! Again, sleep is MEGA important. Especially when you are sick. I give you permission to sleep in, take naps, take NyQuil, ANYTHING to get the rest your body so desperately needs to kick the bug. If you’re super congested and it’s making it hard to sleep, try rubbing some eucalyptus and lavender essential oil on your chest before bedtime. The eucalyptus will help clear congestion and the lavender can help you relax and sleep better! Honestly, it depends on how sick you are and feel. If you’re exhausted, achy, congested, and feel flat out terrible, DON’T! You need the rest more than exercise. However, if you are on the mend and feel better keep it chill and just go for a walk or do some yoga. I don’t recommend high-intensity workouts until you’re feeling completely better! 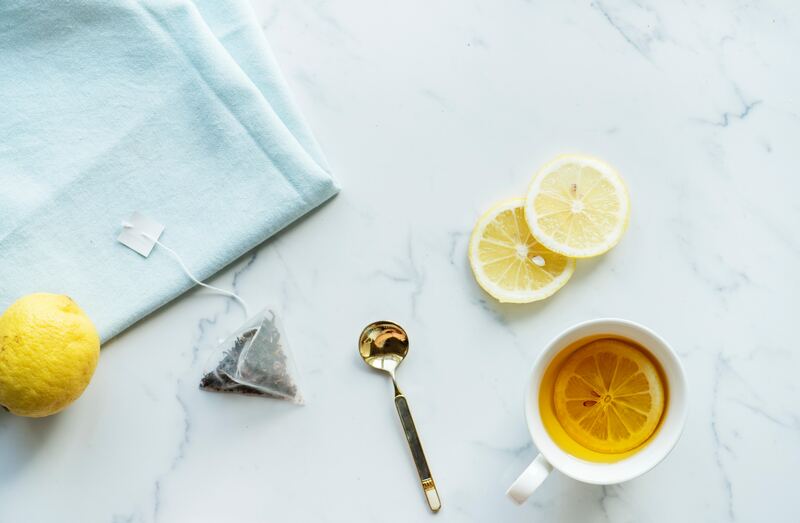 Hopefully, these tips help prevent any nasty colds this season and if you do happen to come down with one, I hope these natural cold remedies make it shorter! If there are any natural cold remedies I’m missing let me know in the comments! I’m always looking for natural ways to heal a cold quickly.